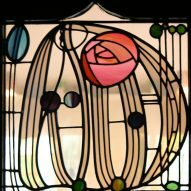 To mark the 150th anniversary of the birth of Charles Rennie Mackintosh we are looking back at his most significant works. Next up is the House for an Art Lover, which remained unbuilt during the architect's lifetime. 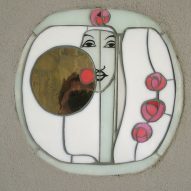 Originally a disqualified entry in a magazine-run competition to design a country house, the drawings of House for an Art Lover helped build Mackintosh's international reputation, and were eventually used to realise the building more than 60 years after his death. In 1901, Mackintosh and his wife, the artist Margaret Macdonald, entered a competition organised by German design magazine Zeitschrift Fur Innendekoration to create a large country house for a connoisseur of the arts. The competition brief stated that only "genuinely original modern designs will be considered", and stipulated that art should be incorporated into the design of the interior, rather than housed in a dedicated gallery space. The organisers also suggested that architects consider teaming up with artists to develop their proposals. This suited Mackintosh perfectly, as he and Macdonald regularly collaborated on his projects. The duo's submission was ultimately disqualified as they failed to include adequate perspective drawings of the interior. 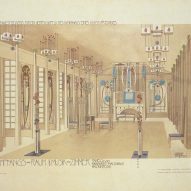 However, the designs were published by the man behind the competition, Alexander Koch helping to establish Mackintosh's international reputation as a pioneer of the new modern style. 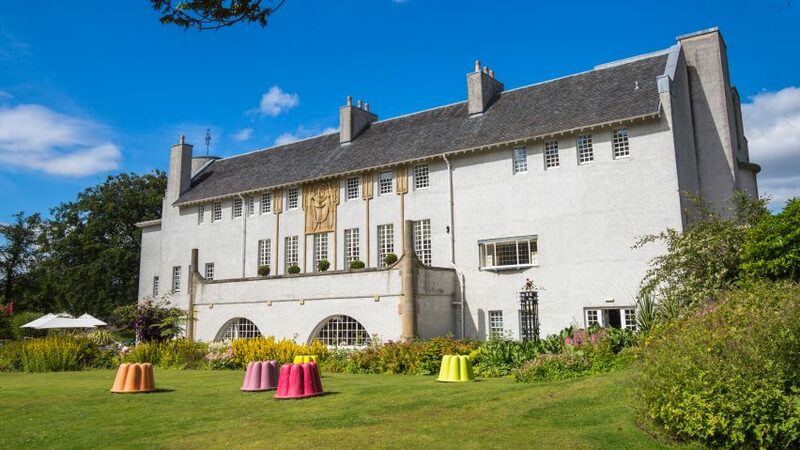 In 1989, Graham Roxburgh, an engineer who had worked on the restoration of Mackintosh's 1897 project Craigie Hall, conceived and developed the idea of building the House for an Art Lover on a site in Glasgow's Bellahouston Park. A team of architects led by professor Andy MacMillan, who was then head of architecture at the Glasgow School of Art, helped to translate Mackintosh's original competition drawings into technical plans. The building's exterior and much of the interior were completed in 1990, but the onset of a recession meant that the project came to a temporary halt, before starting up again in 1994 and finally opening to the public in 1996. The design of House for an Art Lover is said to be an attempt by Mackintosh to evoke an ocean liner placed in the landscape. It features a horizontal emphasis expressed through the window placement and a large terrace lining the drawing room. Ideas that are common across Mackintosh's future residential projects, including Windyhill and the influential Hill House, are evident in the building's form and materiality. These include the massing of simple forms, resulting in a composition of unadorned planes and openings determined by the interior layout. The building's interior features a typical sequence of contrasting dark, masculine spaces and light, feminine rooms. The principal rooms were all designed to be south facing to maximise the exposure to sunlight. A long galleried corridor provides access to a study, an oval ladies' sitting room and the huge drawing room, which adjoins a music room that can be used separately or combined into a single space. The rooms constructed during the 1990s are representative of the Mackintoshes' style and encompass many of the ideas that recur throughout their work, including wood panelling inset with coloured glass, decorative gesso panels, and organic motifs incorporated into the carpets and furniture. 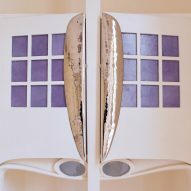 Those involved in realising the House for an Art Lover insist that it is not a genuine Mackintosh building, but rather a study of one of his designs and a celebration of his continuing legacy. Today, the House for an Art Lover is one of Glasgow's most popular cultural destinations, combining art galleries and exhibition spaces with an events venue, cafe, gift shop and multipurpose artists studios.